Backing up your iOS device is an important process that must be performed if you are going to keep the data on it safe. In fact, backing up your device is the single most important action you can take to safeguard the device’s data from the danger of data loss. Yet, the process itself is not without its issues. For instance, you can attempt an iCloud backup only to find that the “Back up Now” option in settings is greyed out, meaning you can’t backup your device easily. If this is happening to you device, worry not, we have the best solutions to help you fix this problem and backup your device. But first, let’s begin with why the “Back Up Now” option could be greyed out. Part 4. Cannot Restore from iCloud Backup Greyed Out? One of the reasons the Back Up Now button may be greyed out is because you are not connected to Wi-Fi. It could also signify a restricted network such as a public internet network that can be set to prevent a network heavy activity like an iCloud backup. It is also likely that Apple servers could be having difficulties at the moment. So before attempting any solutions go to official site of Apple to check the system status. In case the servers are down, all you have to do is wait a while and the “Back Up Now” button will be restored in time. If you are on a restricted connection, you may want to contact your IT department or the system administrator for assistance or simply connect to another Wi-Fi network. The following are some of the troubleshooting steps you can take if you’ve connected to another network and the Apple servers are working just fine but your iCloud is still greyed out. Go to Settings >iCloud and tap on your Apple ID. Sign out of iCloud. Wait 30 seconds and then sign back in. Go to Settings> Airplane Mode to verify that Airplane mode is turned off. Make sure that the device is connected to Wi-Fi. Go to Settings > General> Restrictions > Accounts and set this to Allow Changes if it isn’t already. You can also reset the network settings by going to Settings > General > Reset > Reset Network Settings. Update your device to the latest version of iOS. Go to Settings > General > Software Update. Go to Settings > General > About > Available to make sure that you have at least 50MB available storage for the backup. If you do all the above and are still unable to back up your device, you require an alternative way to back up your iPhone. 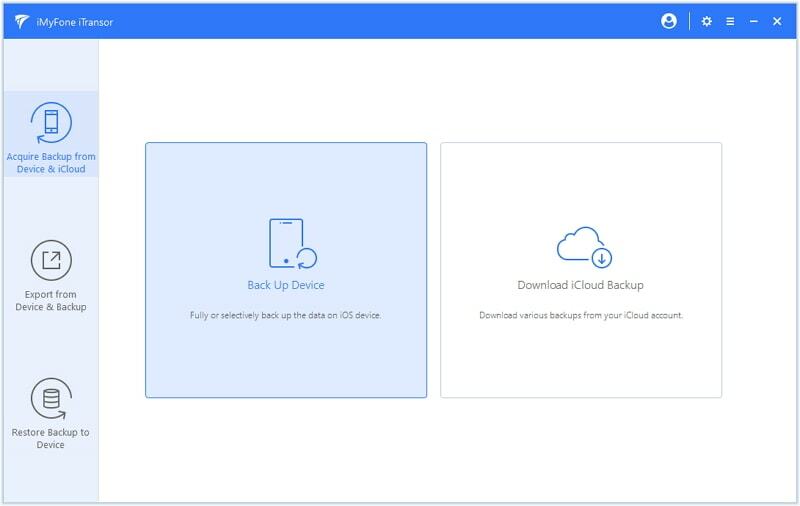 One of the best ways to back up your device is to use iMyFone iTransor Backup & Restore Tool (renamed from D-Port Pro), which is designed to not just make the process of backup and restore easier and faster but also to give you more control. The following are some of the features that make iTransor a better option. 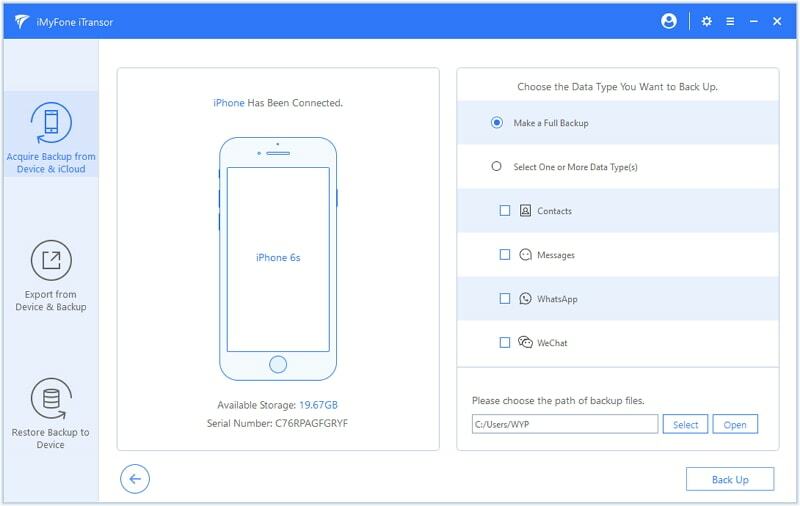 With it, you can choose to make a full backup of your iOS devices, or only back up selected data like messages, contacts, WhatsApp and WeChat, which will save your precious time. Not like iTunes or iCloud, you can choose to restore the partial backup without overwriting all the other data on the device. It can also come in handy when you want to export data from your device, an iTunes backup or an iCloud backup. 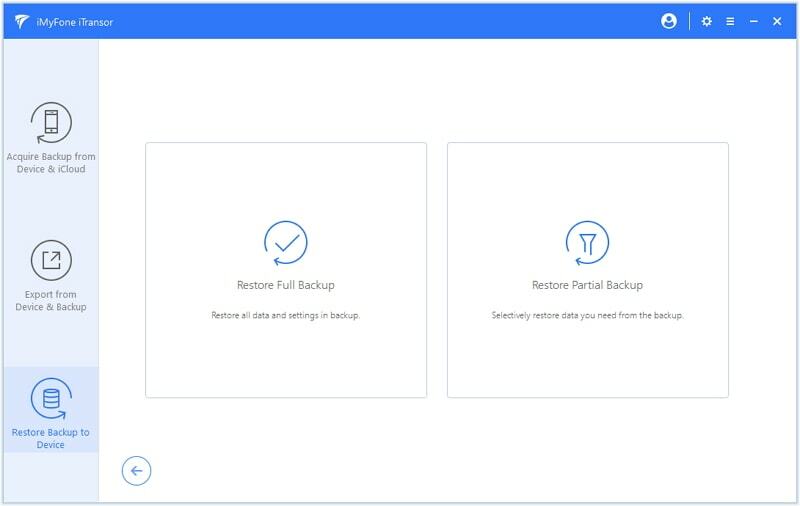 Restore your backup with "merge" or "replace" option. It works well with iOS 12/11/10 and etc. To use iTransor to back up your device, begin by downloading and installing the program to your computer and then follow these simple steps. Step 1: Open the program and from the main window, choose “Acquire Backup from Device & iCloud” in the panel to your left. Select “Back Up Device”. Step 2: Keep the device connected to the computer through the entire process. Meanwhile click “Make a Full Backup” and click "Back Up", then the program will immediately begin the process. You can also choose to select important data to backup to save time. Step 3. You will receive a notification when the process is complete. 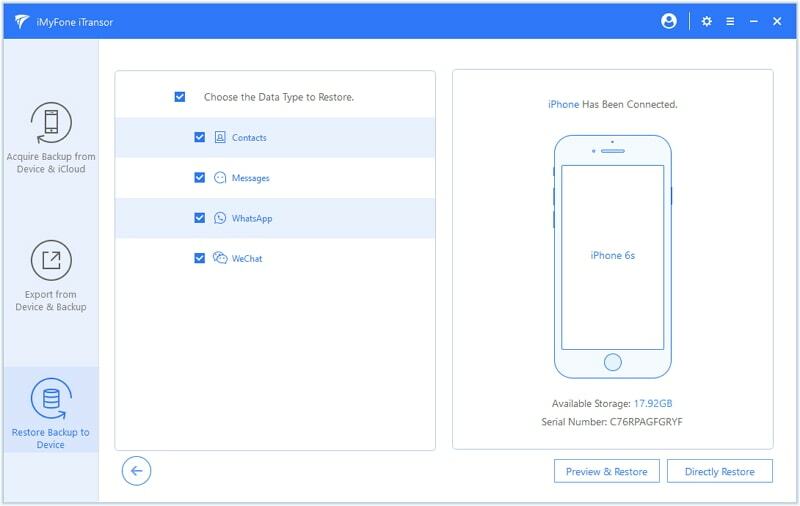 iTransor can also be quite helpful when you are unable to restore an iCloud backup to the device for one reason or another. 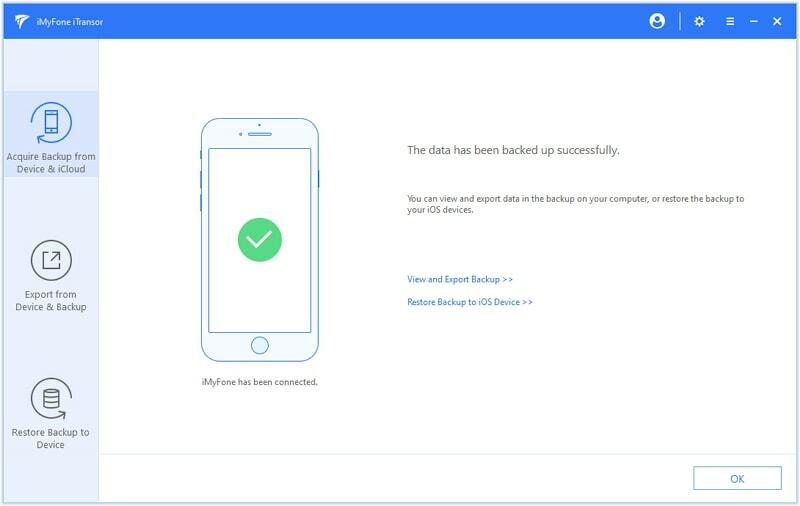 Here’s how you can use it to restore an iCloud backup to your device. “Restore Backup to Device” from the main window. 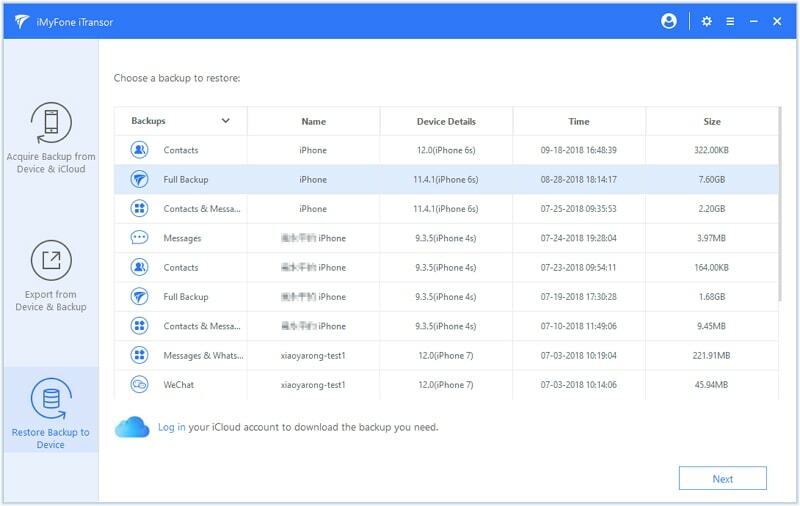 If you see all the backups including iCloud backup in the list of backups presented, just select it and proceed. If not, click on “Log in” under the list to download iCloud backups in your iCloud account first. Step 2: Click “Next” and you need choose to restore fully or partially. Step 3: If you choose to restore partially, you will go to this stage. There are also two options for you - "Preview & Restore" and "Directly Restore". Choose one you need to proceed. Step 4: Here choose one from "Merge" and "Replace" to proceed. 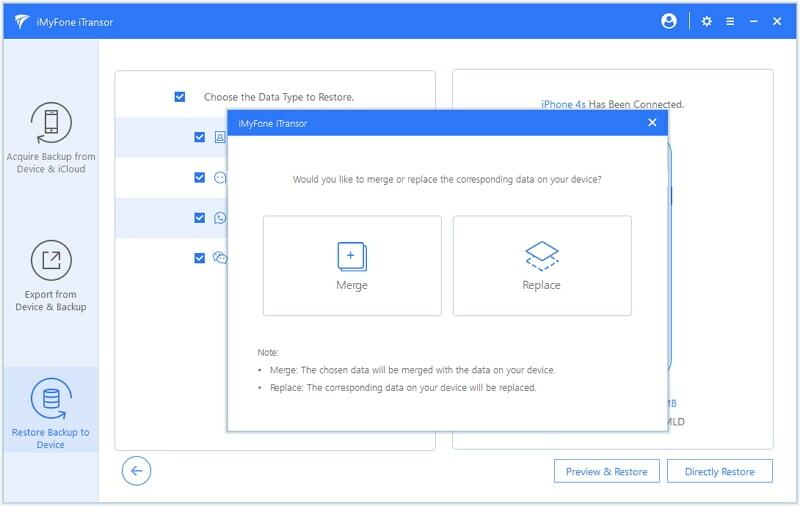 Merge will only adda new correspnding data to your device and will not affect the related data on your device; while repalce will overwrite the corresponding data on your device with what from the backup. Then all you need to do is to wait for the process to complete. The “Back Up Now” button in iCloud can be greyed out simply because you are not connected to the internet. In case you are and you still experience problems backing up your device, the solutions above should help you fix the device. You can also use iMyFone iTransor to back up the device until you can fix it.